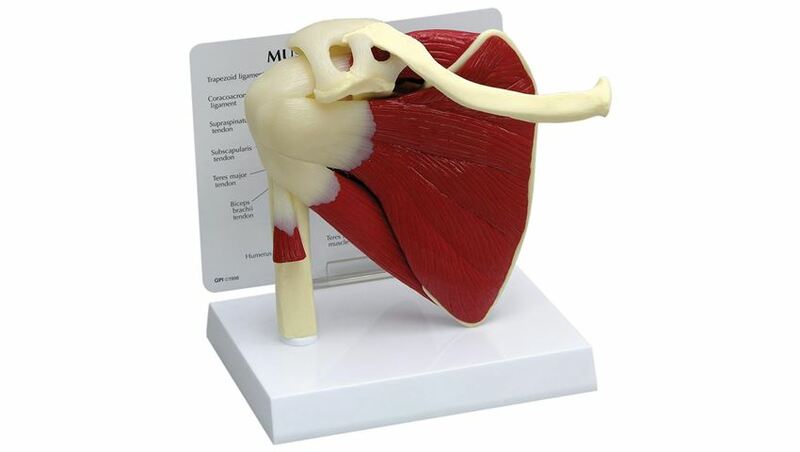 GPI Anatomicals® Muscled Shoulder Model Full-size normal right shoulder includes infraspinatus, subscapularis, supraspinatus, and teres major and minor muscles; acromion, clavicle, humerus and scapula bones; plus eight ligaments and tendons. 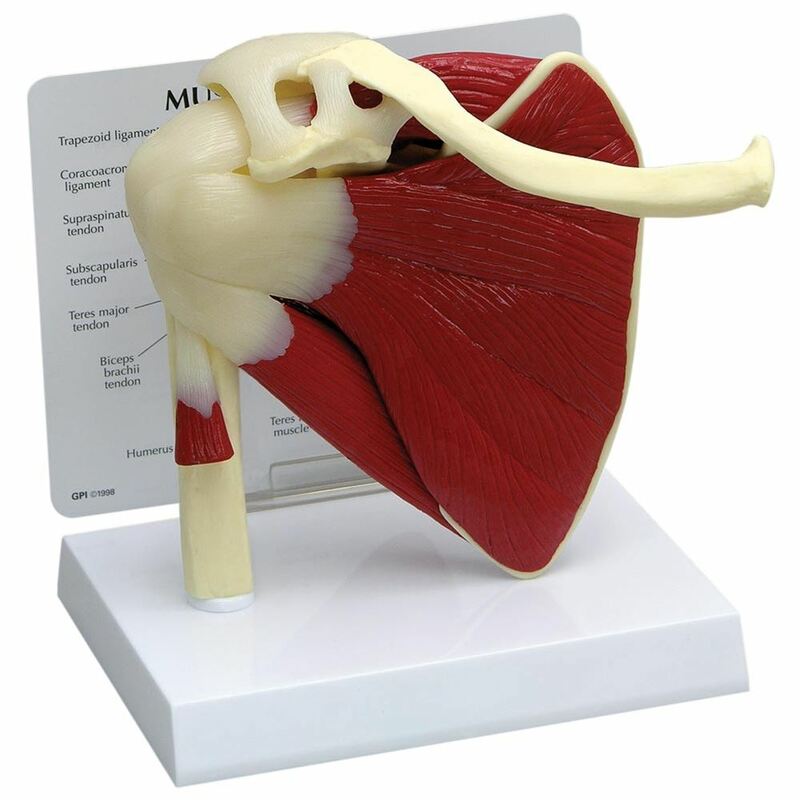 Humerus is semi-articulating in capsular ligament for rotator cuff demonstration. Hand painted.